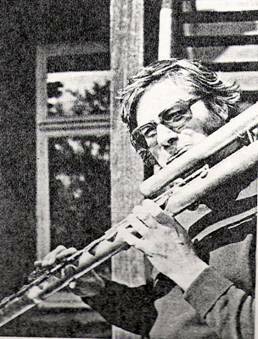 Chris Taylor (1929-1982) was a pupil of Geoffrey Gilbert and spent his earlier career as solo flute with the Royal Philharmonic Orchestra and at the Royal Opera House, Covent Garden, London. He was also a jazz player and became a ‘session’ flautist recording film and TV music but also recorded Bach, Telemann and Vivaldi. Late in his career he was appointed flute professor at the Royal Academy of Music (1981-1982).